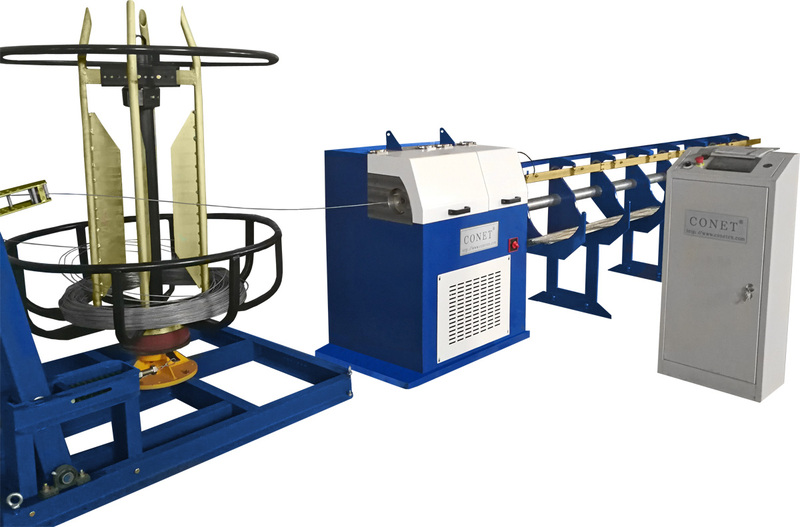 AWT Machinery has recently introduced and new high QUALITY yet very AFFORDABLE range of wire straightening & cutting machines. 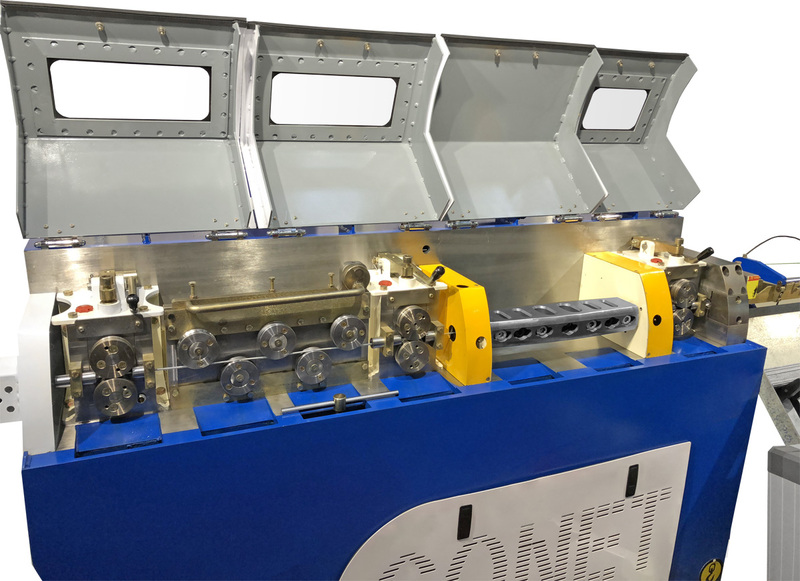 Our new straighteners are manufactured by CONET in China and are extremely well built, yet at a very affordable price, while not compromising on any features or manufacturing quality and they are stocked and supported locally here in the USA by AWT. 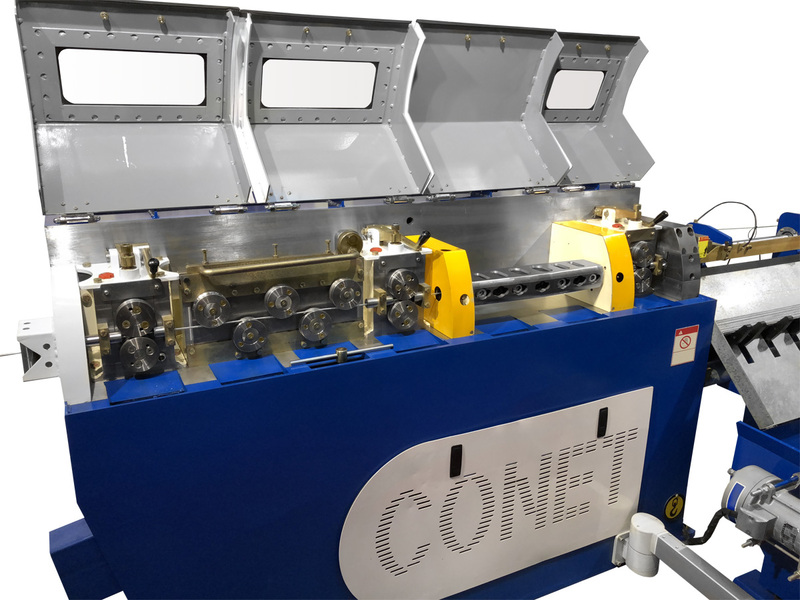 In fact CONET has taken their design to the next level for wire straightening machines, offering features that are not even available on the most expensive machines in the industry. 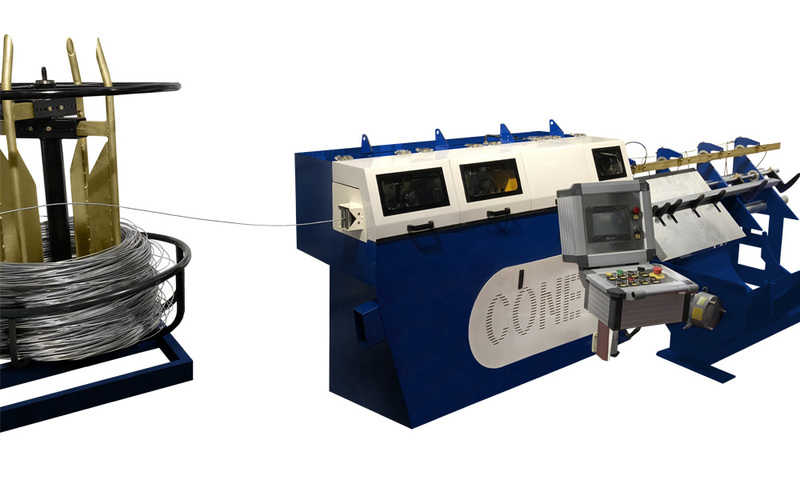 Including features like, a servo cutter, inverter controlled feed and spinner speeds, and a unique runnout that is mechanically tied to the servo cutter to ensure super fast operation, allowing a running speed of up to 590 ft/min. 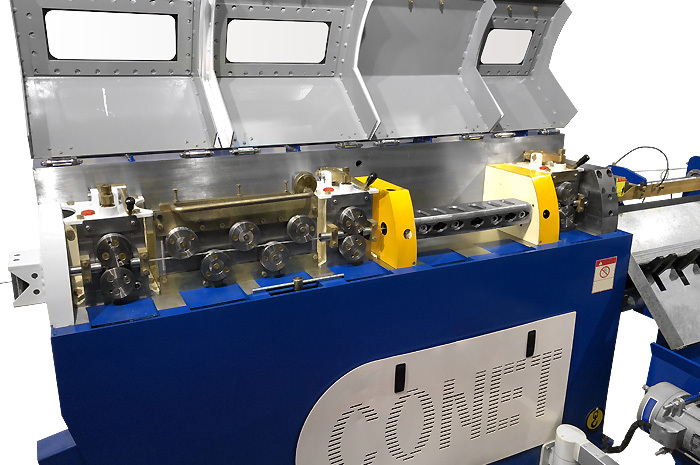 These are just some of the features, but as sales people, we understand that words are cheap and that the proof is in seeing, so why not make an appointment to come see our new straightener in action. We often keep stock machines on our show room floor. Local Spare Parts & Service from Illinois, USA. 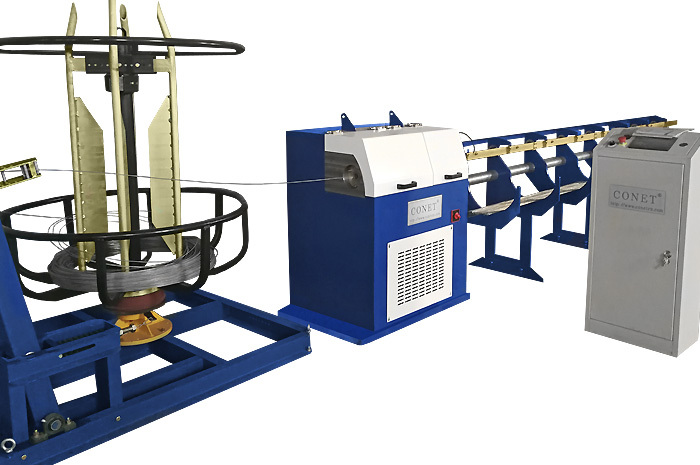 High speed up to 590 ft/min (180m/min). 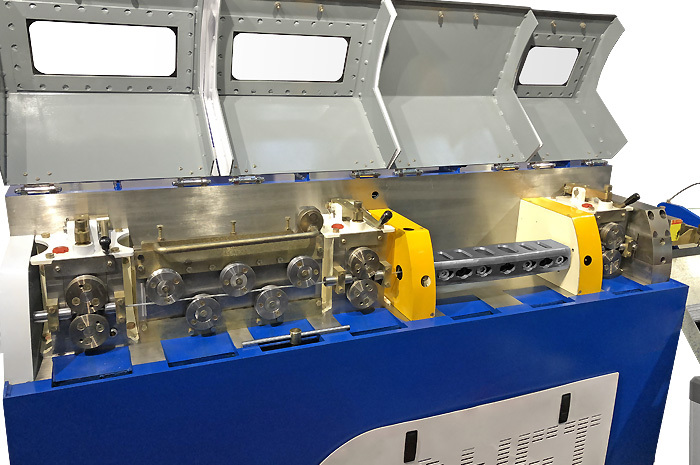 Includes braked rotating payoff as standard with the machine. 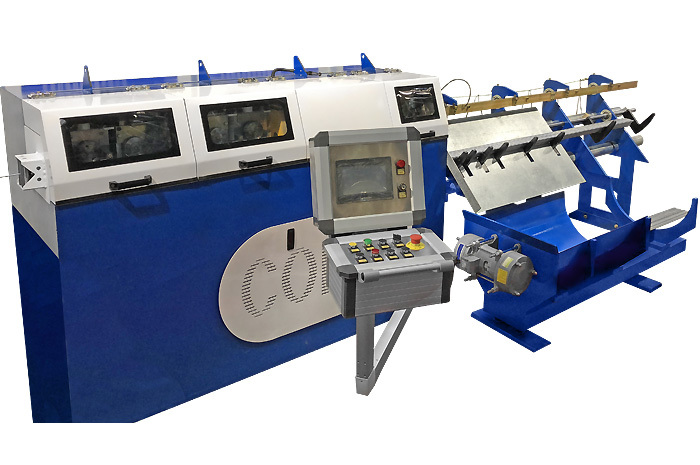 Includes pre-straightener and 3 pairs of feed wheels as standard. 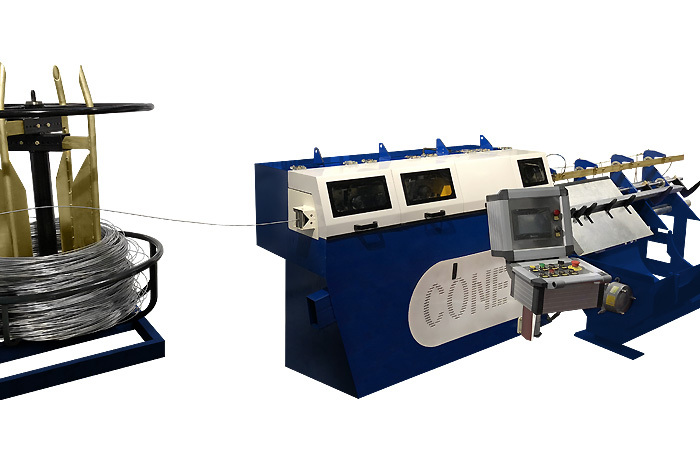 Includes vibrating floor mounted collector as standard. 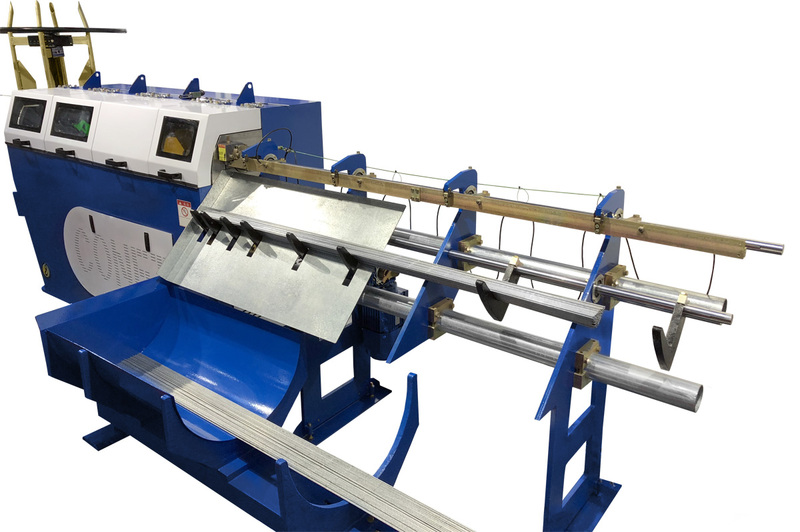 Uses servo motor for cutting. 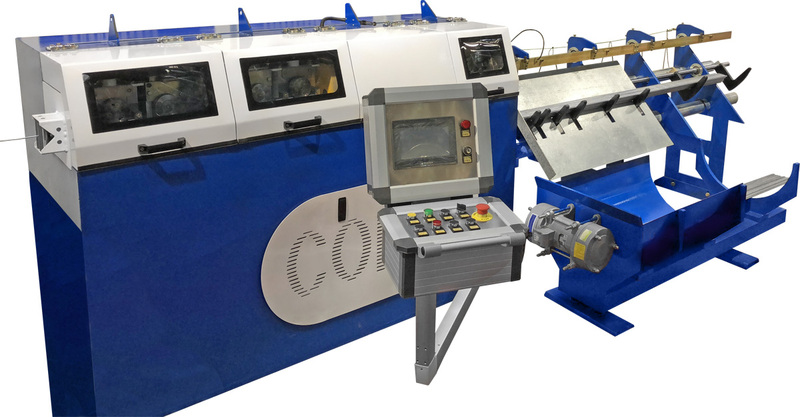 Full independent adjustment of the spinner and feed roller speed, to maximize the straightness and running speed..
Stop cut for length cut tolerance of ± 0.007". No pneumatic air required to run the machine.